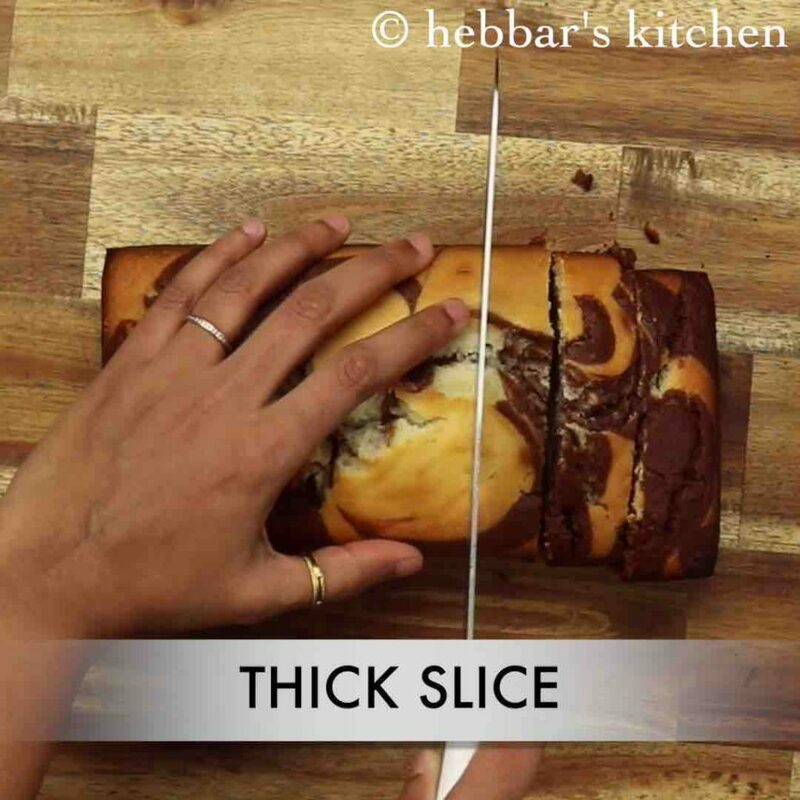 marble cake recipe | chocolate marble cake | eggless marble cake with detailed photo and video recipe. 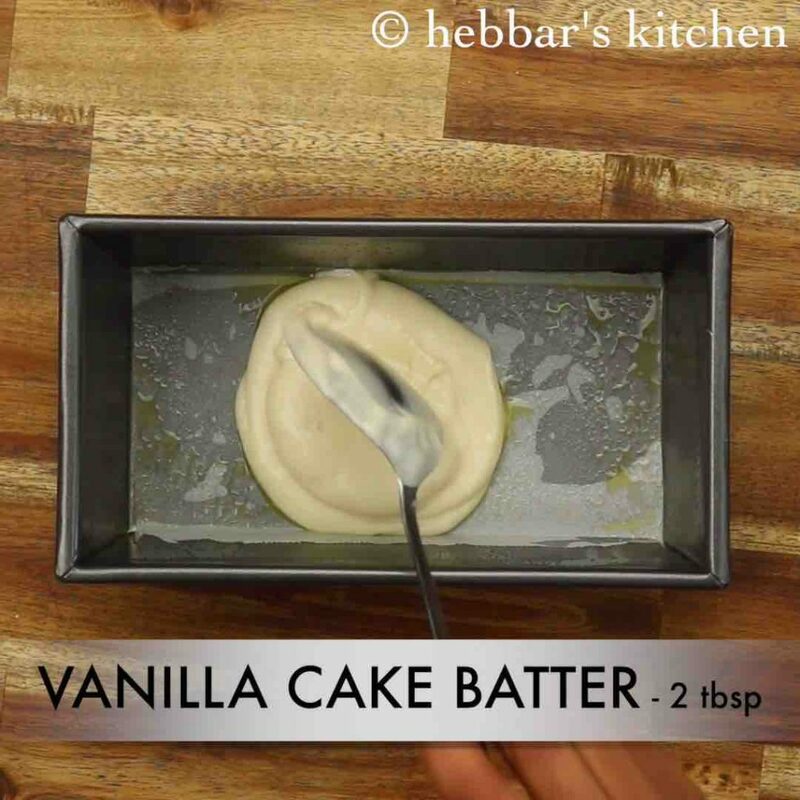 an interesting fusion cake recipe made by combining 2 cake batter. the batter is mixed in such way that there are 2 distinct colours clearly visible overlapping each other. this is later baked like any other traditional cake and thus forming a zebra-like an appearance with 2 distinct colours from chocolate and plain cake batter. 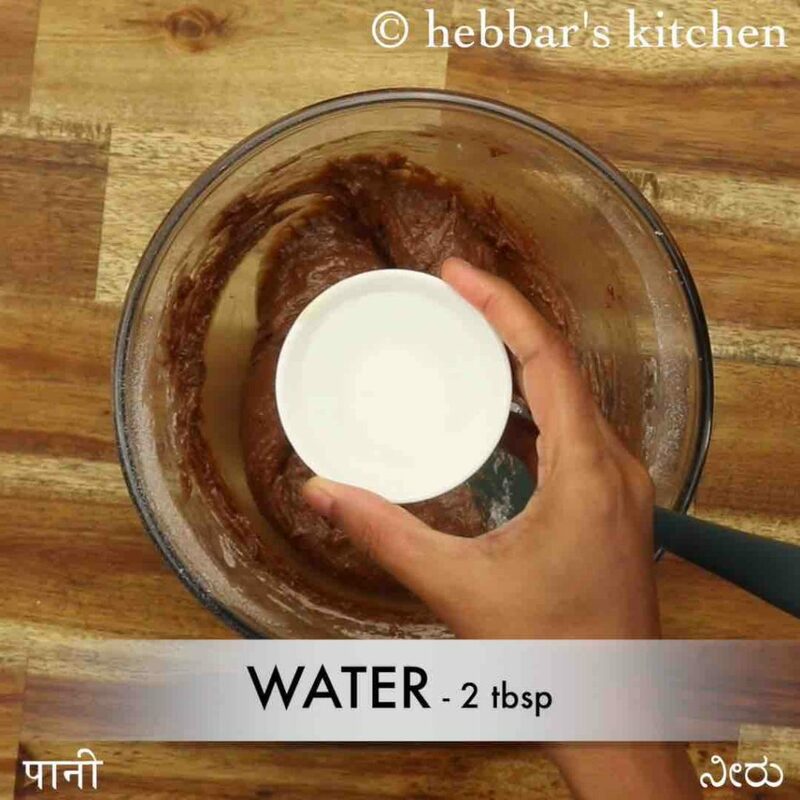 marble cake recipe | chocolate marble cake | eggless marble cake with step by step photo and video recipe. eggless and flavoured cake recipes are very popular across india. it is made for several reasons and it could be celebrations or perhaps as an evening snack. but most of them are made with just one flavoured cake batter. 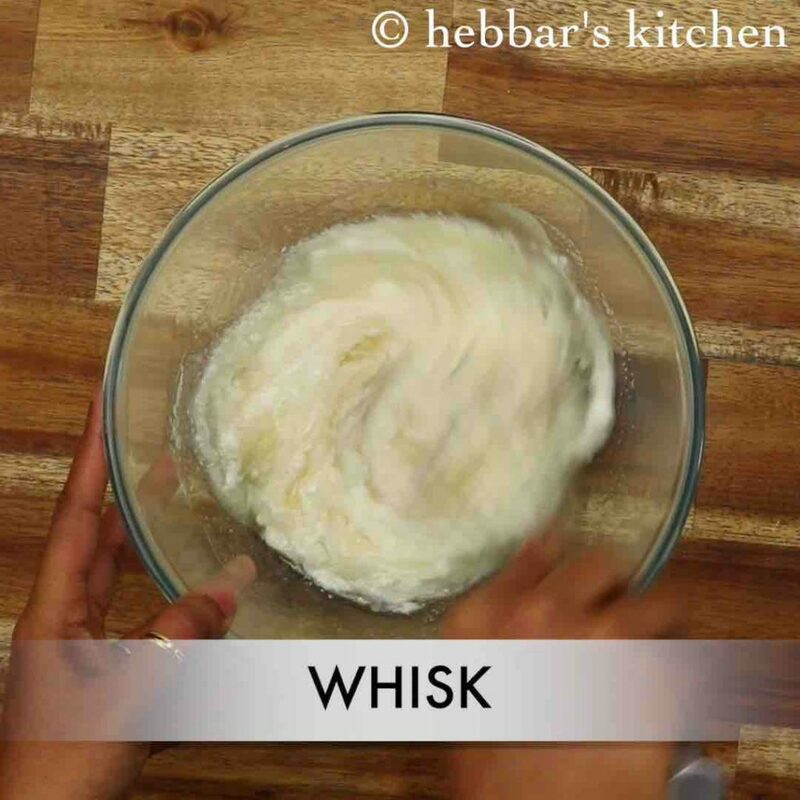 but this recipe post dedicates to a marble cake which is made with roughly mixing 2 cake batters. well, to be honest, i had never thought of sharing this recipe in the first place. i always believed that layered or chocolate marble cake must have a complicated baking procedure and it is not my cup of tea. until, i met my new friend shashi, who is an expert in baking and also has a great passion for baking. as a matter of fact, she has undergone, several baking classes and she helped to learn the technique for chocolate marble cake. basically, the 2 cake batter should be mixed roughly with clearly visible layers with each other. 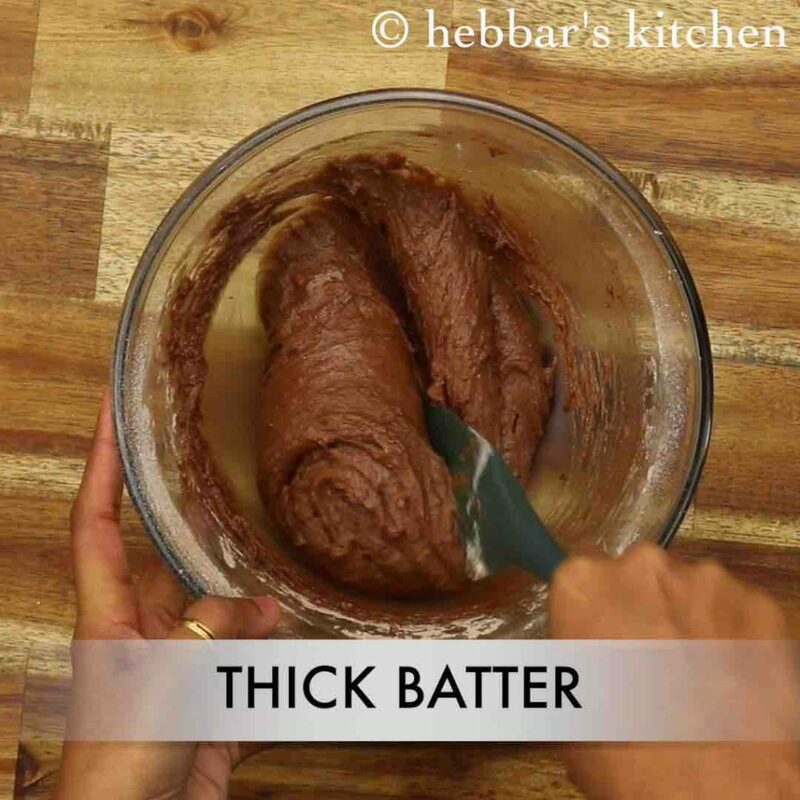 in other words, the cake batter has to be thick and hence should not easily mix with others. 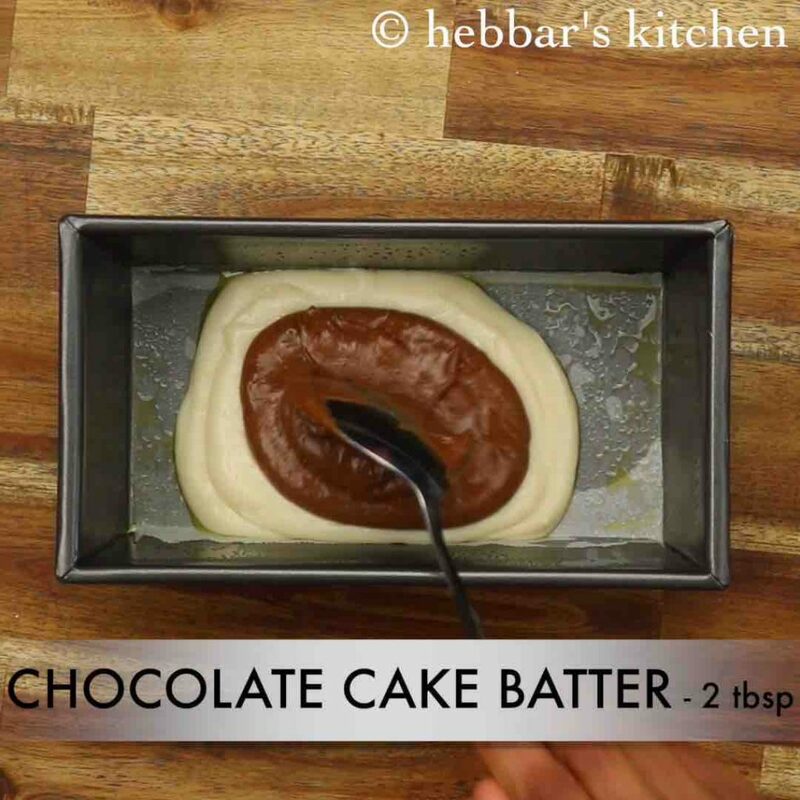 once the batter is combined, it has to be baked as it is, which eventually forms distinctive layering. 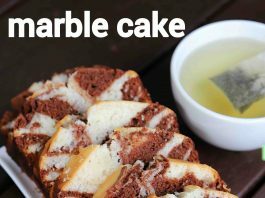 anyway, i would like to add few more suggestions, tips and variations to moist chocolate marble cake recipe. firstly, in this cake recipe i have used vanilla, and chocolate cake batter as it has 2 distinct colour. 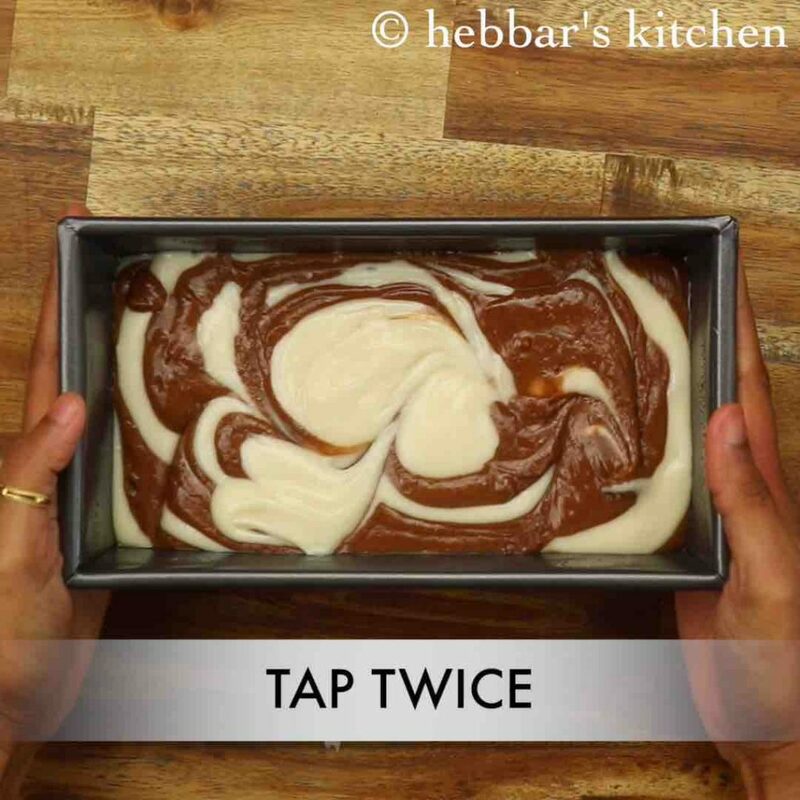 but the same technique can be applied with any other cake batter too. but i would recommend choosing 2 distinct and contrast-coloured cake batter. 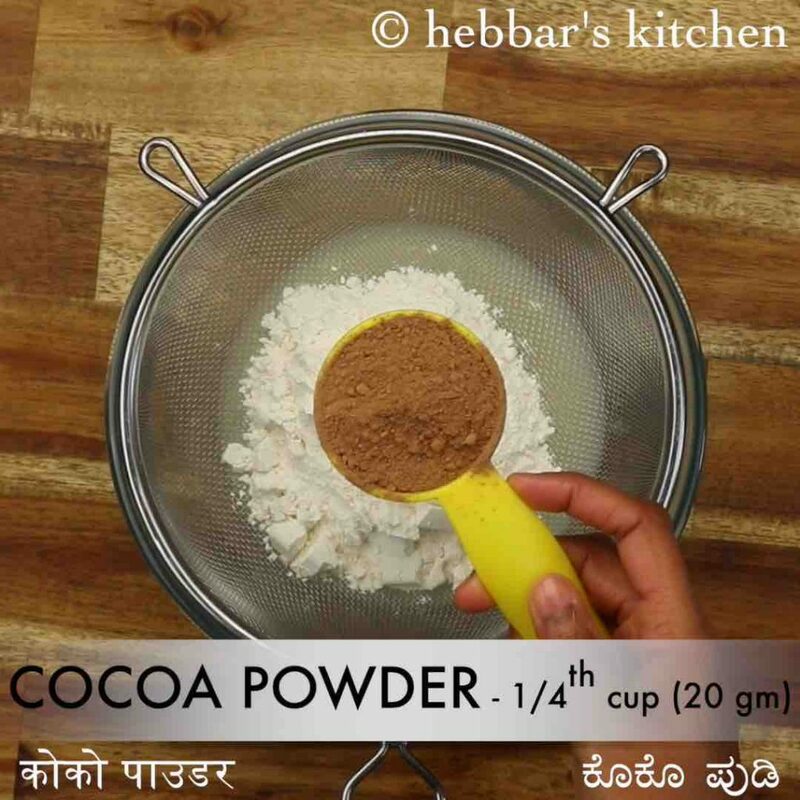 secondly, i would heavily recommend using fine quality of cocoa powder if you are using chocolate flavoured cake batter. 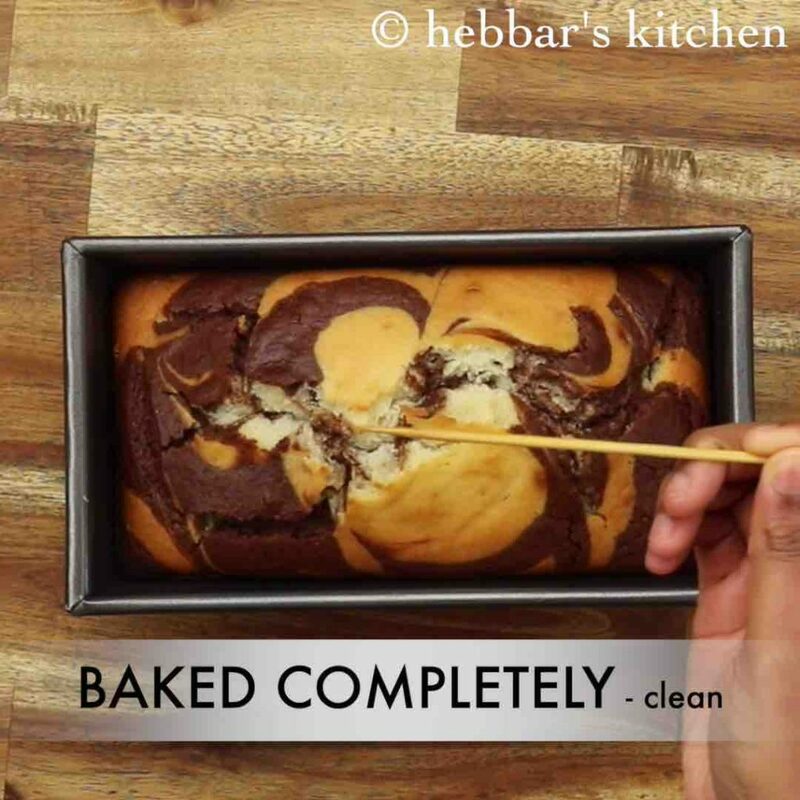 the chocolate flavour would have a great impression to any type of marble cake. lastly, i have not concluded the recipe with icing or frosting on top of the cake. 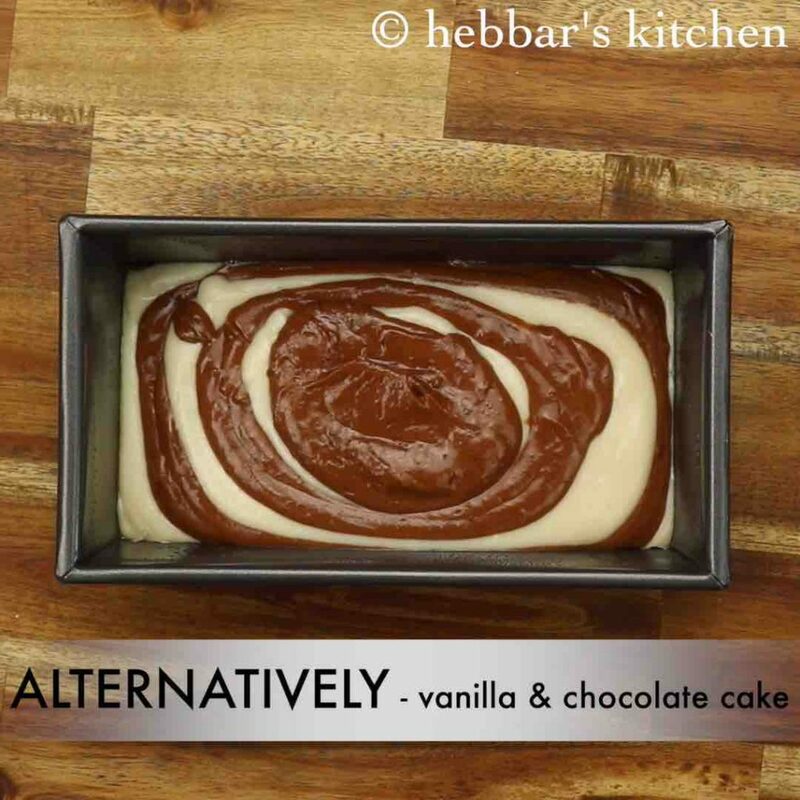 you can either vanilla or chocolate frosting and you can refer my respective recipes for the same. firstly, scoop 2 tbsp of vanilla cake batter and transfer to a cake tin. on top of vanilla cake batter add 2 tbsp of chocolate cake batter. alternatively, add vanilla and chocolate cake batter. allowing to spread naturally. 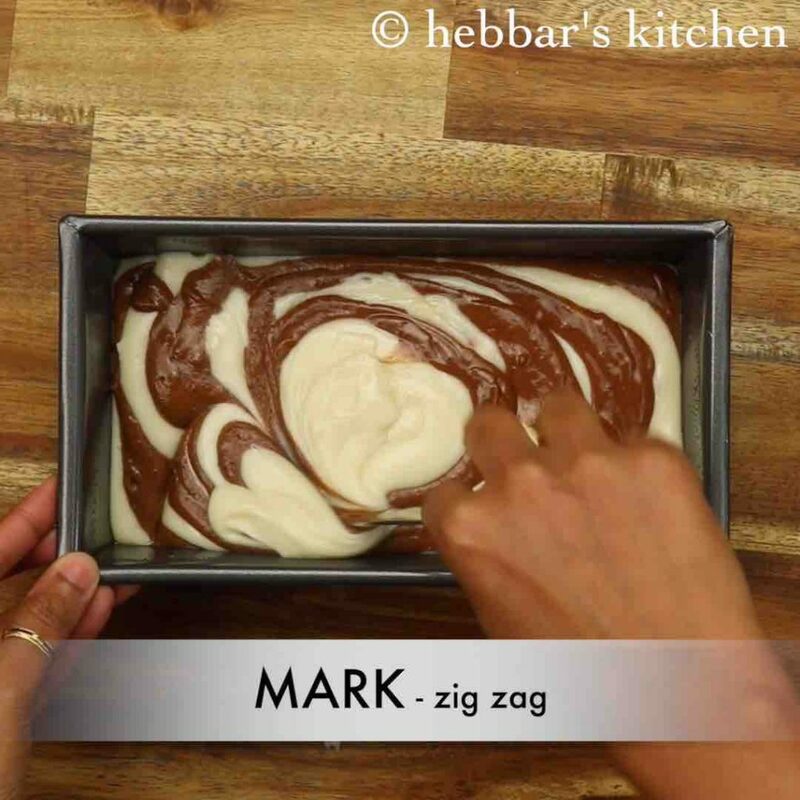 using a back of the spoon, give a zig-zag swirl to get a nice design without disturbing the layers. place the cake tray into the preheated oven. bake the cake at 180 degree celsius for 50 minutes. further, allow the cake to cool completely and later cut into thick slices and serve. 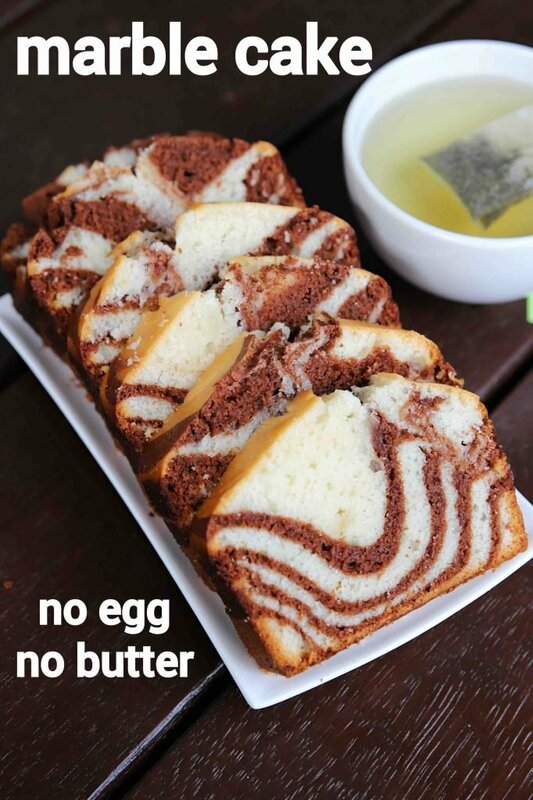 finally, serve the eggless marble cake or store in an airtight container. 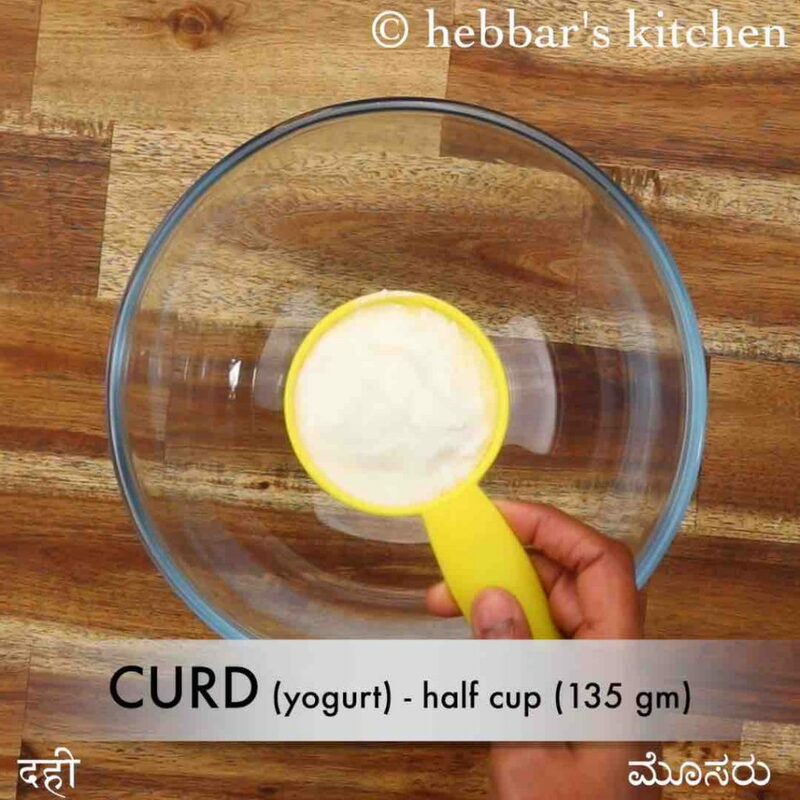 firstly, in a large bowl take ½ cup curd. 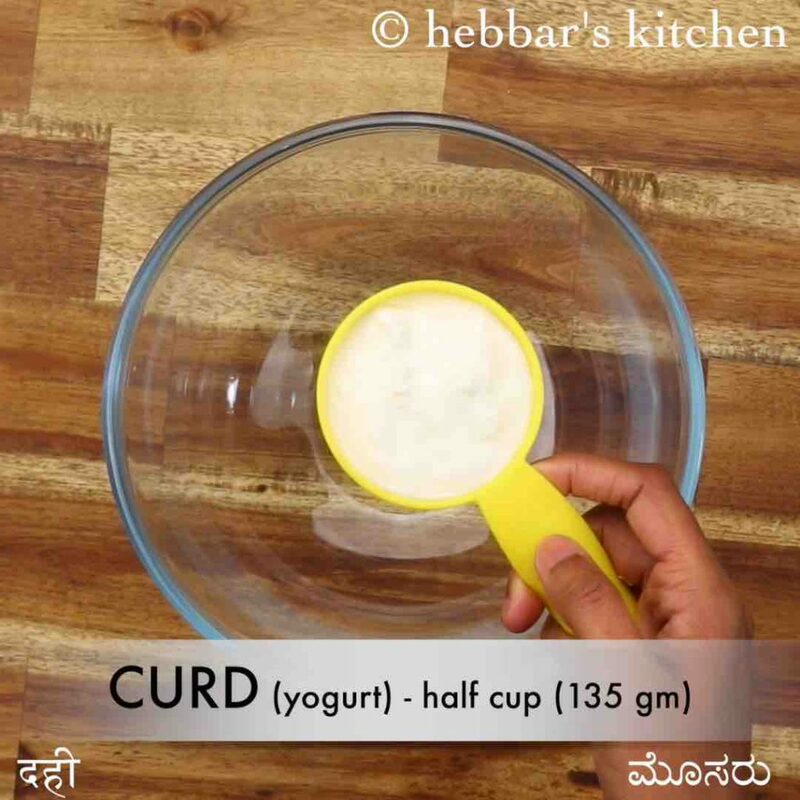 use fresh curd to avoid tangy flavour. 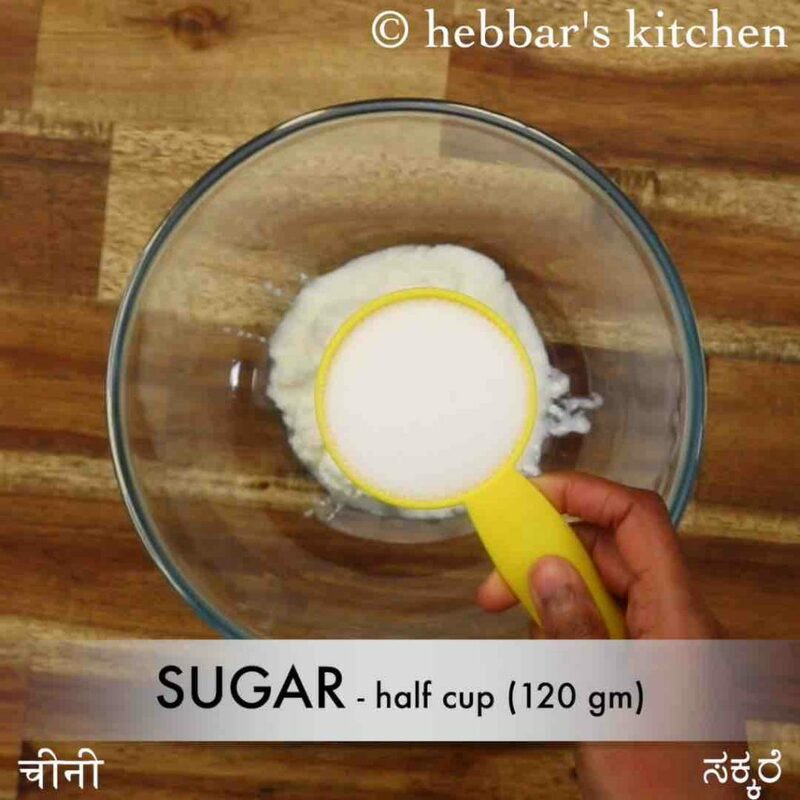 add ½ cup sugar, ¼ cup oil, 1 tsp vanilla extract. 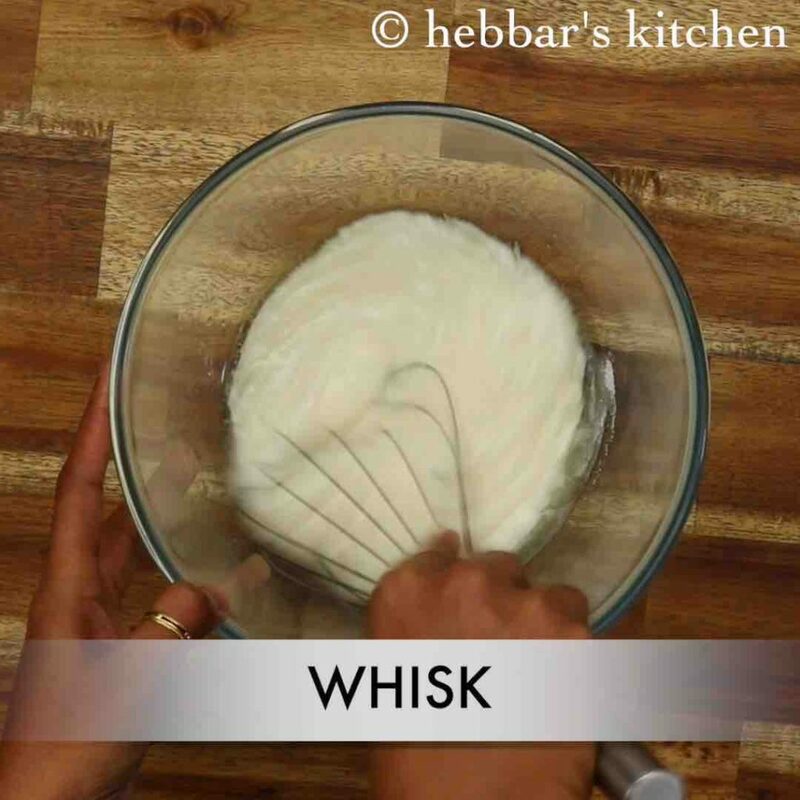 whisk well until the sugar dissolves completely. 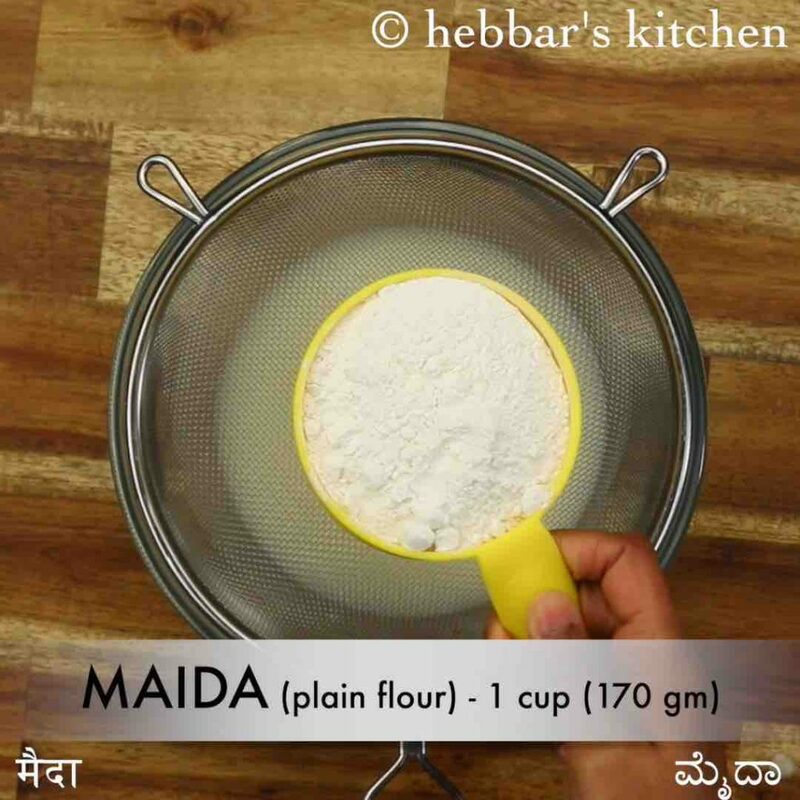 place a sieve and add 1 cup maida, pinch baking soda, ½ tsp baking powder and pinch salt. 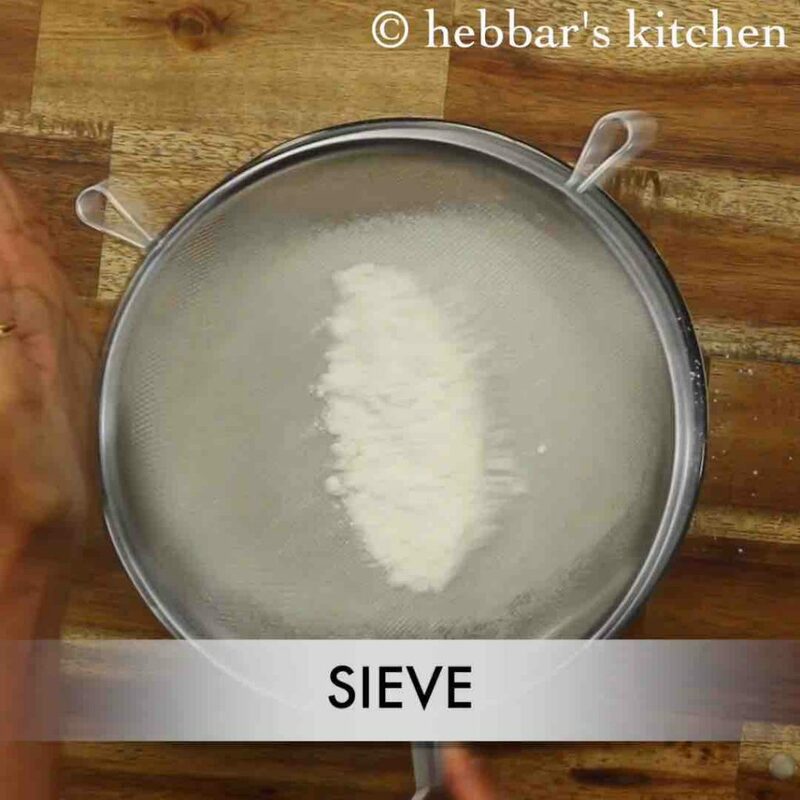 sieve the flour making sure there are no lumps. 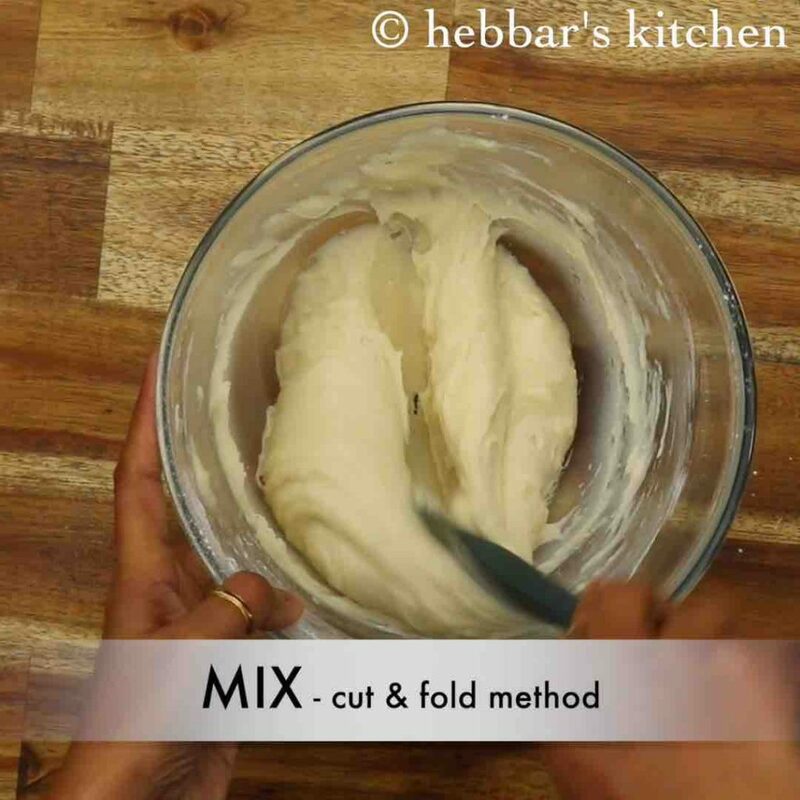 further, using the cut and fold method mix the cake batter. 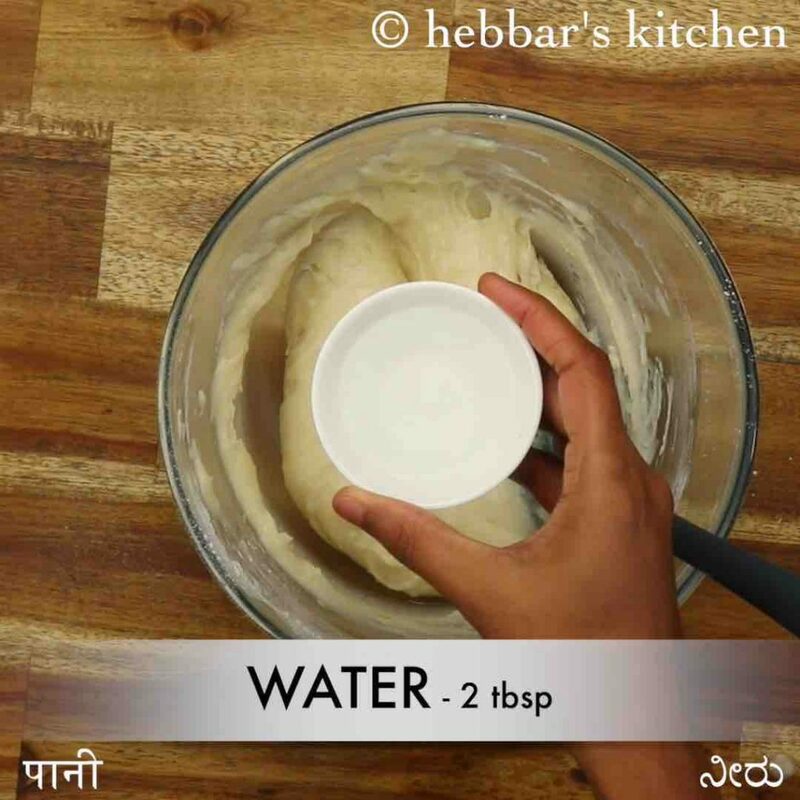 additionally, add 2 tbsp water and mix to a smooth silky batter. 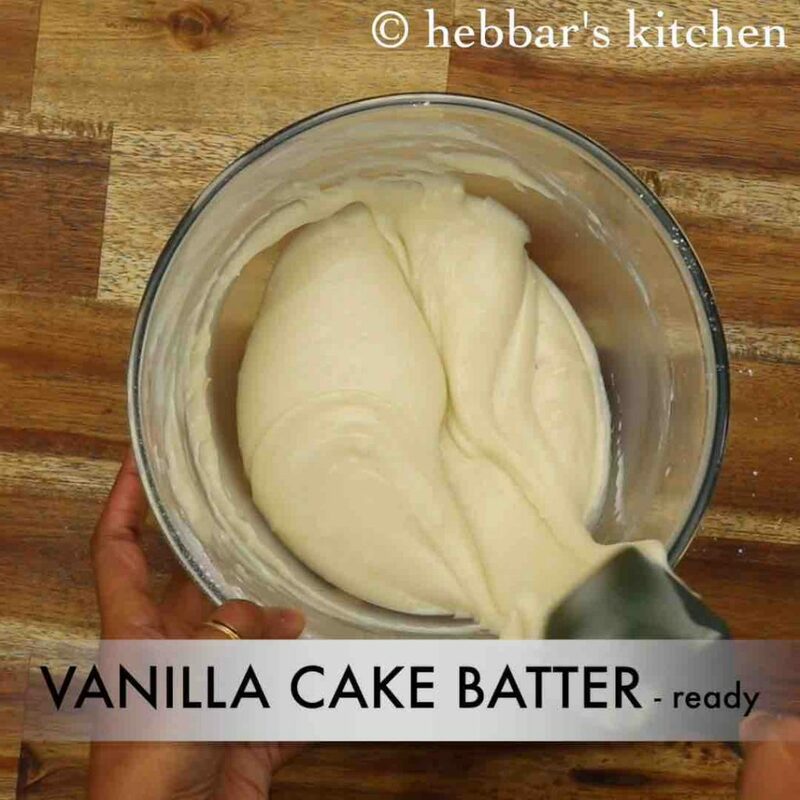 finally, eggless vanilla cake batter is ready. keep aside. 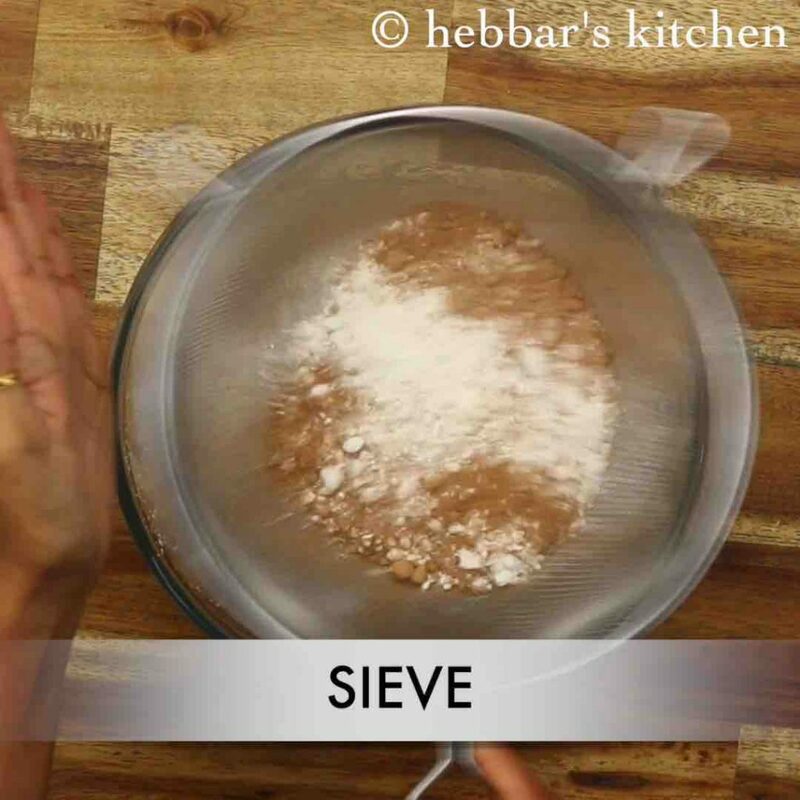 place a sieve and add ¾ cup maida, ¼ cup cocoa powder, pinch baking soda, ½ tsp baking powder and pinch salt. 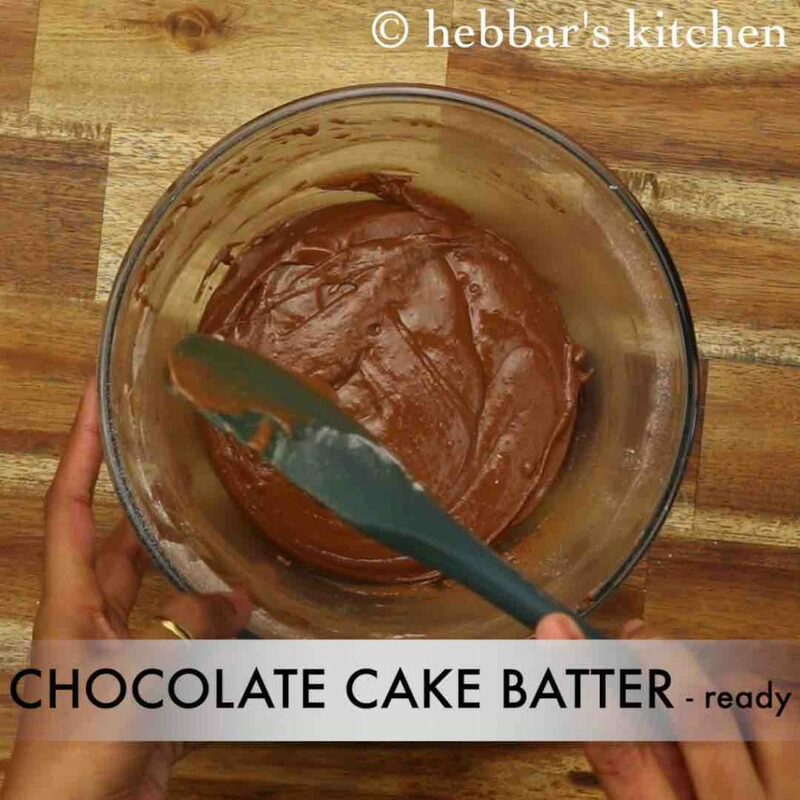 finally, eggless chocolate cake batter is ready. keep aside. firstly, scoop 2 tbsp of vanilla cake batter and transfer to a cake tin. make sure to grease the mould and place a butter paper at the bottom to avoid sticking. i have used bread loaf pan from smith+nobel – 21x11cm. place the cake tray into the preheated oven. 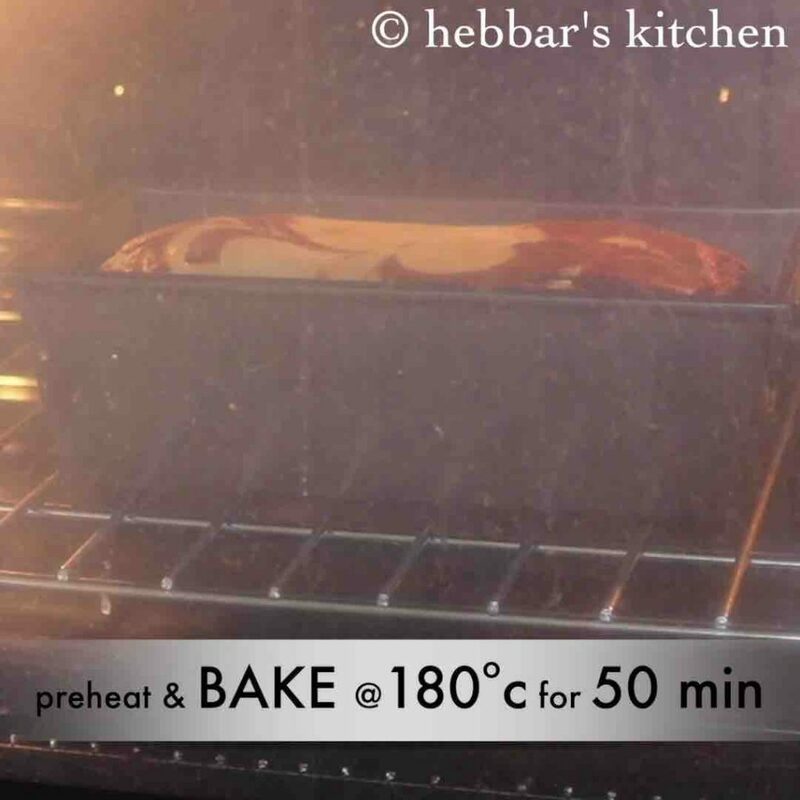 bake the cake at 180 degree celsius or 356 degrees fahrenheit for 50 minutes. firstly, the cake can be topped with frosting once the cake is cooled completely. also, make sure to have alternate layers of cake batter to have a good design. 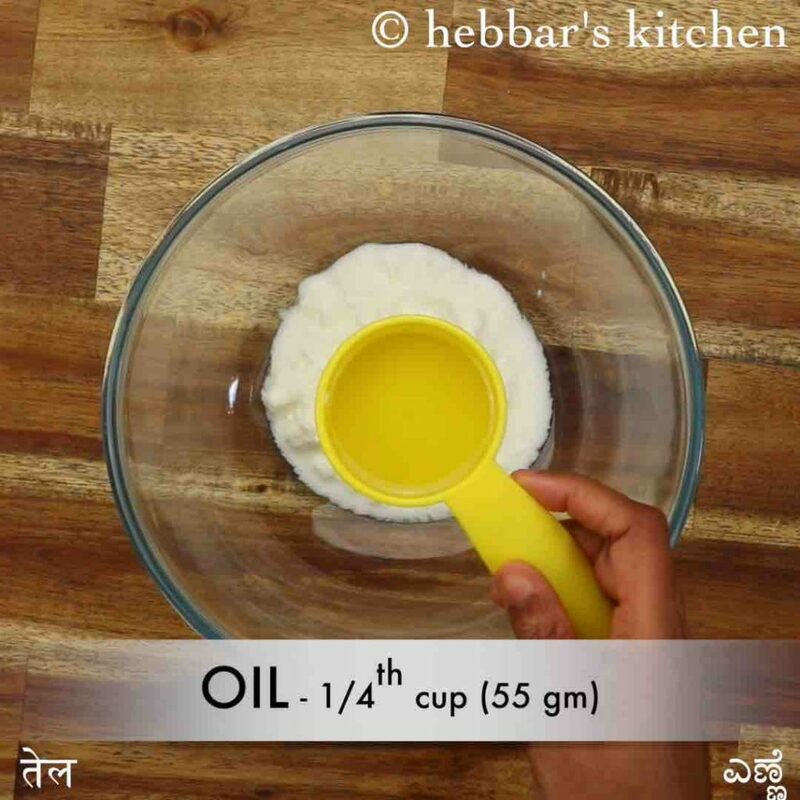 additionally, if you are vegan then replace curd with water and add 1 tsp vinegar. 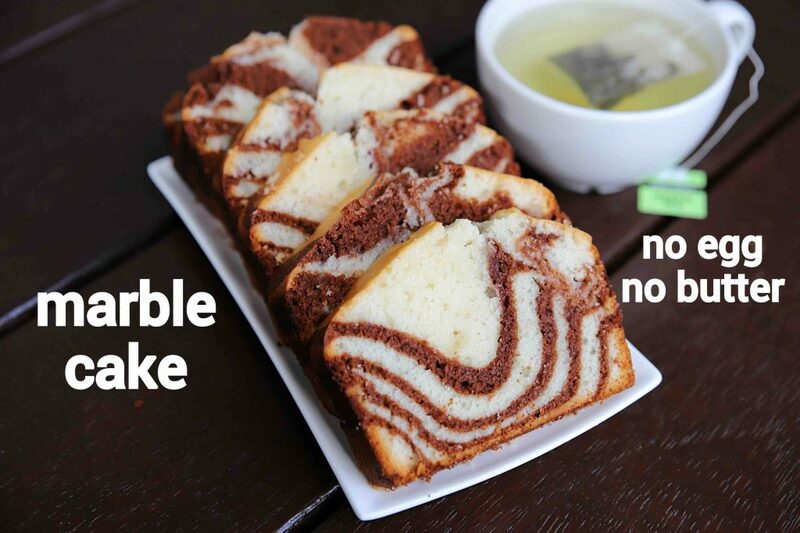 finally, eggless marble cake recipe tastes great with balanced sweetness.